Disclosure: This is a sponsored post. We received compensation and courtesy product from Trendy Butler in exchange for our honest review only. All opinions expressed here are our own. While it may take a couple of boxes for Trendy Butler’s stylists and A.I. sidekick to nail down your fashion sense, I'm impressed with the quality, value for money, and selection of clothing in my first box, and I’m excited to see what the second will bring. If you told me 30 years ago that in 30 years time, I’ll be able to use this thing called the internet to get an online team of stylists to partner up with A.I., and to then carefully curate a selection of clothing just for me, and then send that selection directly to my door—I would have debated the possibility of such a thing with you for hours. In reality, I was two years old at the time and I probably would have simply stared at you blankly. Today, there’s no need for debate. The time of A.I. and men’s subscription boxes is upon us. And the combination of the two leads us to Trendy Butler. What Sizes Do Trendy Butler Carry? Do Trendy Butler Do Returns? 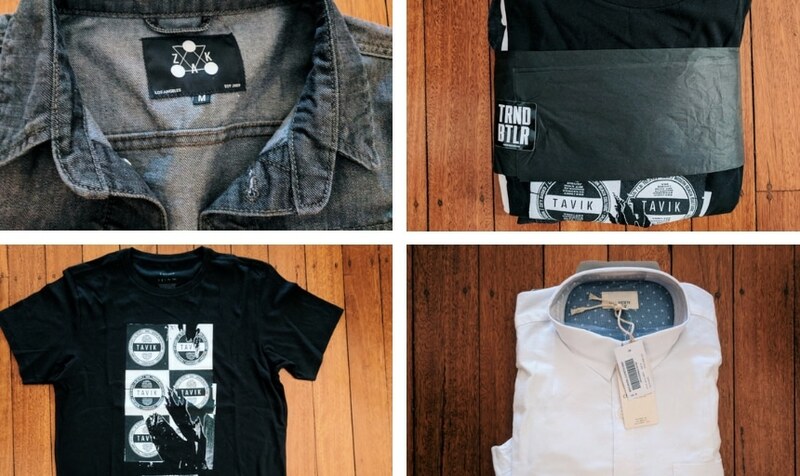 Trendy Butler is a male fashion subscription service. For $65 per month, you get two to three pieces of clothing with a retail value of at least $150. Signing up is as easy as spending a few minutes on an online style quiz. I’ll walk you through this in more detail later in the review. Based on the style answers you feed their online quiz, Trendy Butler uses A.I. (they’ve named him Alfred) in combination with their in-house stylists to determine what will look good on you. Let’s see how well Alfred did for me. 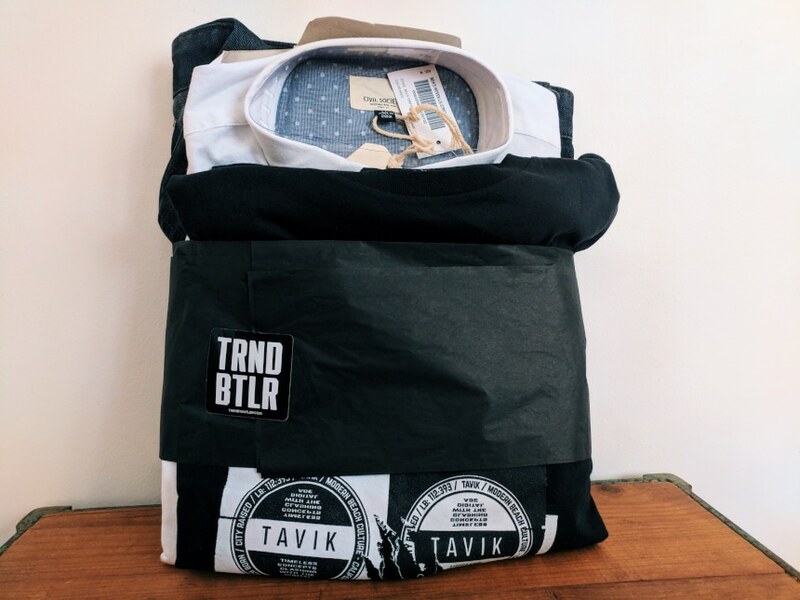 My Trendy Butler order came in what I could only describe as an oversized brown lunch bag with a big TRENDY BUTLER stamp on it (Oct. 2018 update: TB have now switched to boxes for their packaging. I’ve seen them and they’re a big upgrade). Inside, the clothes were wrapped together with cellophane and a labeled sticker. This is a nice touch, and it gave me that classic subscription box feeling. While the packaging did its job and kept the clothes nice and safe, the presentation was a little less polished compared to other boxes I’ve seen. It’s great that TB has switched to box packaging. I’d now be much more inclined to gift it without repackaging it first myself. At the end of the day, the clothes are what really matter. 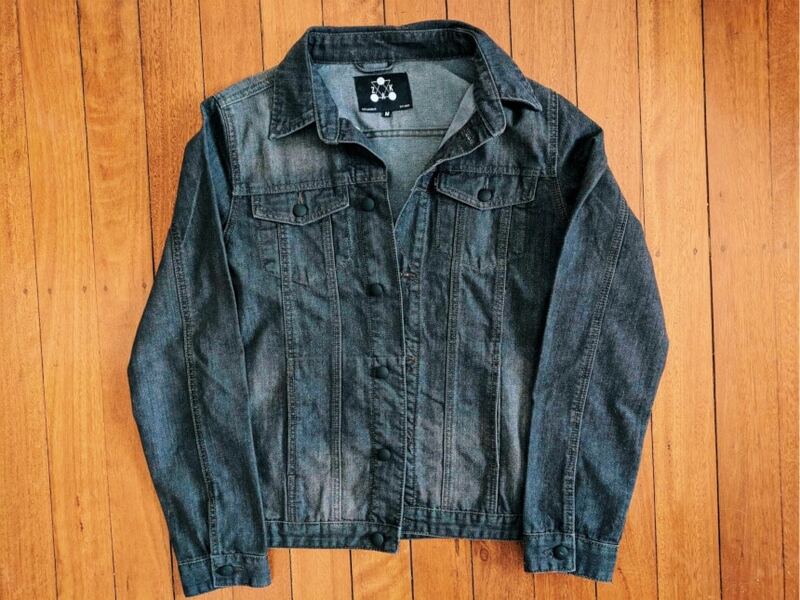 I received a tee, a long sleeved button-up, and a denim jacket. This denim jacket from Las Angeles based Z.A.K. Brand is my favorite item in the box. It looks great, fits properly (even at the cuff), and it’s rugged but not super heavy. Civil Society is a solid brand and I can never have too many white button-ups. It fits well and the fabric has a nice feel to it. This black patterned tee comes from Southern California ‘Modern Beach Culture’ brand, TAVIK. It’s 100% cotton and the fabric feels great. It’s an interesting graphic design, but it runs a little long and I don’t usually go for the oversized tee style. I’m also not all that big on beach style. It’s the only item of the three I wouldn’t have picked for myself if I saw it on the rack. I’m a huge fan of the Z.A.K. jacket—it’s earned a lot of shoulder time. I also love that it’s dyed properly. There was no blue/gray water when I threw it in for a spin cycle and no dying my socks in the wash. The Civil Society shirt is extremely comfortable and fits like a glove. I feel like I got great value for money. I know the denim jacket alone would’ve retailed for close to $65, if not more (I believe it’s out of stock, I couldn’t track it down online—let me know if you find it). And good luck finding a decent 100% cotton button-up for less than $50. 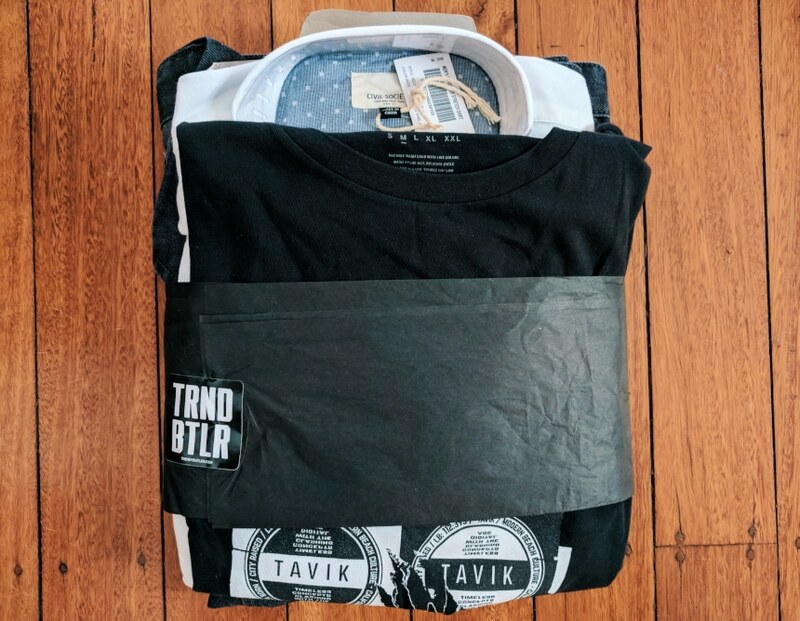 The TAVIK Tee isn’t really to my personal taste and style. But it’s grown on me. The packaging was a touch plain (this is no longer an issue, read above). 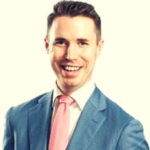 Trendy Butler uses an A.I. system to take your answers and style match you. The subscription process takes longer than if you were to sign up for other more static services like Basic Man, but for a custom, stylist supported curation such as this one, it’s worth putting the extra few minutes in. You can choose from “Casual and Stylish”, “Diverse Taste” or “Work Hard, Play Hard” core styles before selecting the color palette that best represents you. Next, you select your t-shirt preference before inputting your sizing details and favorite pattern styles. Pro tip: If your goal is to completely shake up your style, don’t be afraid to step outside your comfort zone. It should go without saying, but be sure to let TB know if your sizing requirements fluctuate across the course of your subscription so they can adjust accordingly. Once you get to the end of the quiz, you’ll have to sign up before checkout. Unless you’re the indecisive type, it’ll take you less than five minutes to get everything locked in. They have a wide range of sizes and state on their website that they’re open to requests and inquiries to accommodate you the best they can. As with most subscription box companies, they’re always changing their specifications to adapt to new trends. Trendy Butler has a well-reviewed customer service team. Emails can take up to 24 hours to hear back from, but you will get a response. Canceling your subscription is quick and easy, and you’ll receive a confirmation message that you’re no longer subscribed. One thing that separates them from the rest is that they don’t process funding too early, so if you want to quit on the last day of the month, you’re not going to get charged. If you have to tighten up the budget one month and cancel, they’ll be courteous and wish you the best. $65/mo is considered premium in the subscription box space, and they don’t pretend otherwise. If you’re unhappy, Trendy Butler has options for you to return and exchange. In terms of customer service, they set a good standard. The TAVIK tee aside, my first box wasn’t really all that trendy. But for me personally, that’s a good thing. It’s what I asked for. I like classic colors and basic patterns. You know, ‘non-trendy’ clothing. And that’s exactly what I got. 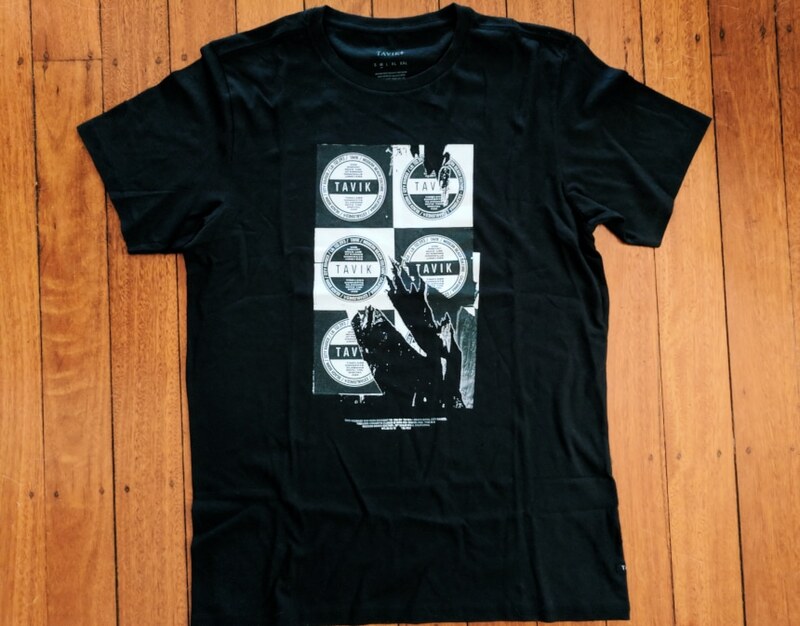 And while the graphic tee may not have ended up in my shopping trolley had I seen it live in-store, I’ve still found myself wearing it pretty regularly. And that really says something about subscription services like this. Much like receiving a thoughtful gift, sometimes you don’t know you’ll like something until you own it. I enjoyed this box, and while the store value of some of these clothes might not be over $150.00, it’s most certainly worth the $65.00 subscription fee. Hands down. You simply want to supplement your wardrobe with additional items in line with your current style. Just like with any styling service, understand that it may take Alfred the A.I bot a few boxes to sync with your fashion sense. But with the quality of products, and the value for money you get overall, you’ll enjoy Alfred’s monthly attempts at nailing down your style.